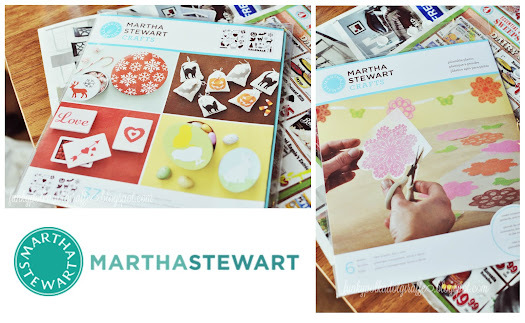 I got a fantastic box of paints, stencils, and tools from Martha Stewart Crafts. It was seriously like Christmas morning! I kept pulling things out and oohing and ahhing. 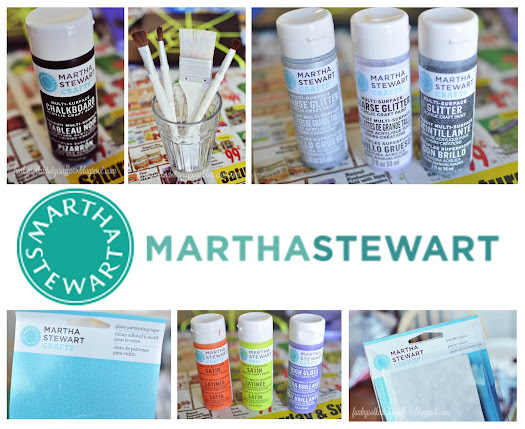 paints and supplies from Martha. First, I started with these canvases from the local dollar store. I thought they'd make the perfect jumping point for the Halloween gallery art. I painted them different colors with my rad Martha Stewart Craft paints. Then, it was time to get spooky! First up is the 3D Bat Canvas!!!! Satin Craft Paint, and Multi-Surface Glitter Paint. 1. 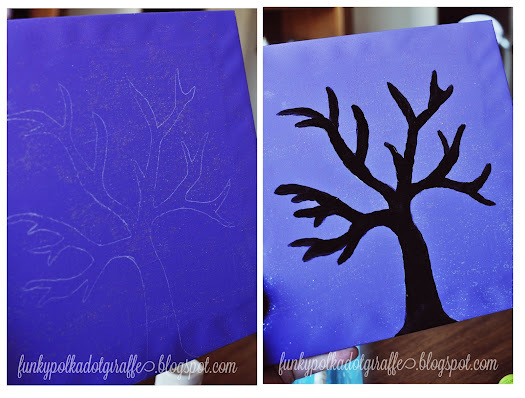 Position the stencil on your plastic and lightly paint - working in a dabbing motion. 2. 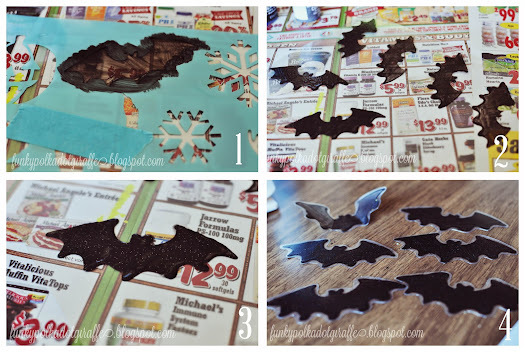 Repeat painting the bats all over the 8x10 piece of paintable plastic. 3. 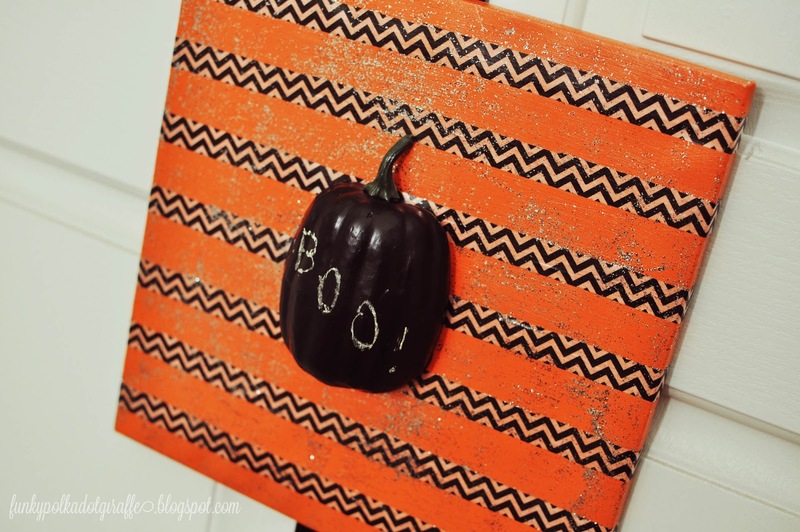 Add a little glitter paint - because glitter makes everything better. 4. 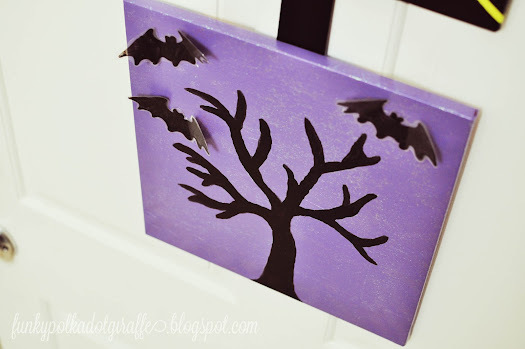 Cut out all your cute little bats and then fold the wings up for the 3D effect. 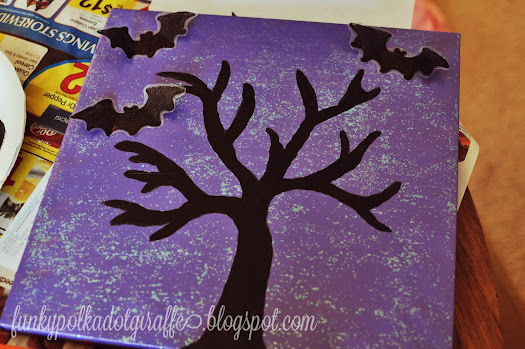 Next, you'll need the Transfer Paper to get that spooky little tree onto your purple canvas. 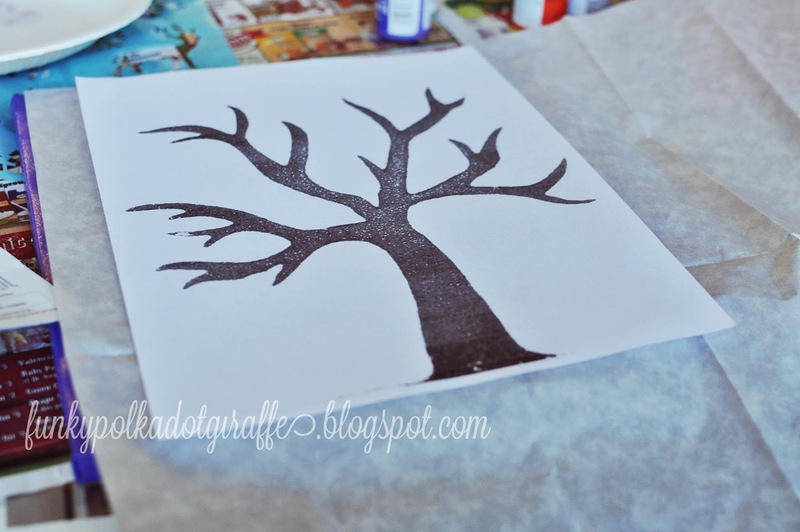 placed the spooky tree on top of the transfer paper, and then traced with a pencil. 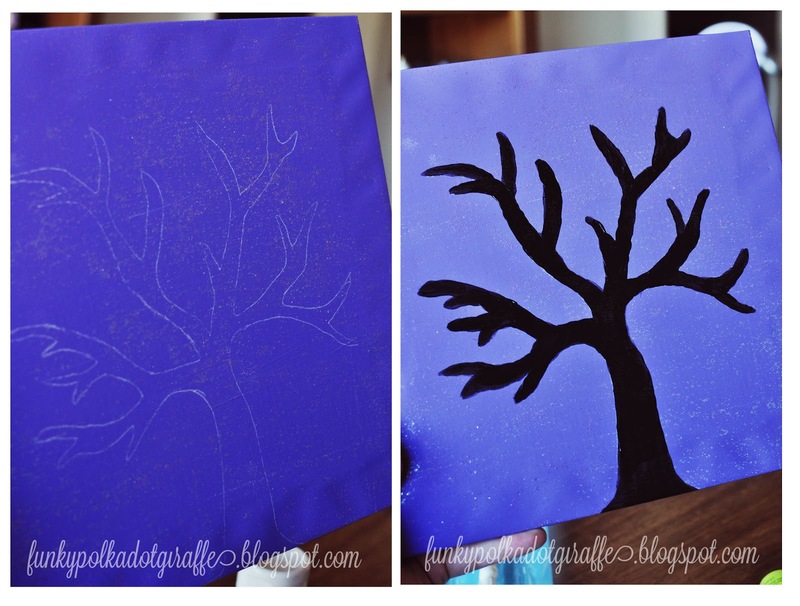 The spooky little tree outline was on my canvas. 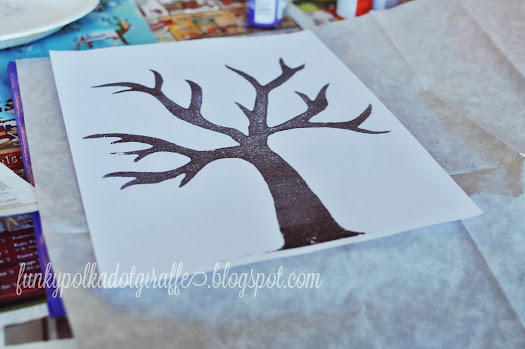 Then, I filled in the outline with the craft paint and BAM! A fantastic 3D bat canvas for my collection. sky effect and then glued on the cute little bats. 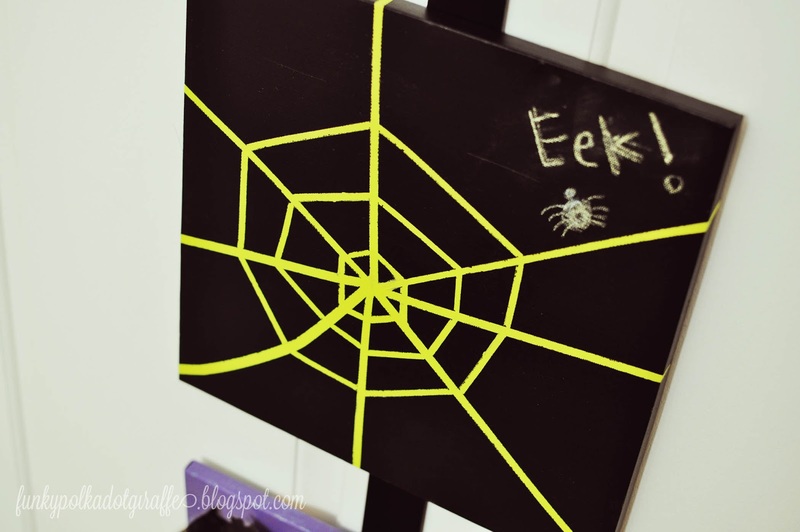 Next up is the spiderweb canvas. a craft knife, cutting mat, and a straight edge. 1. 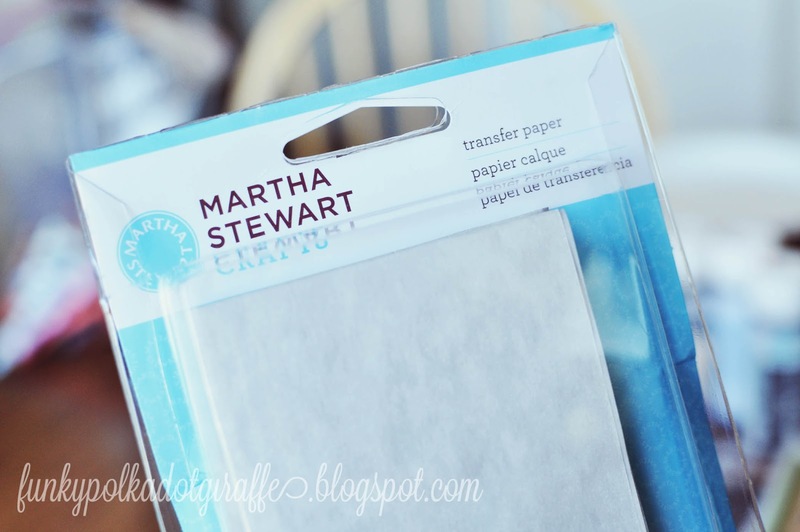 Cut the Glass Patterning tape into think strips with the craft blade. 2. 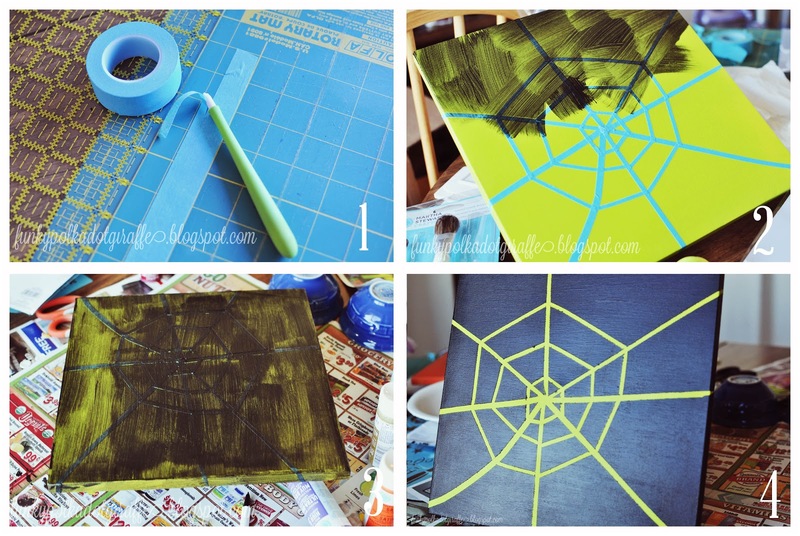 Create a spider web with the tape. for sufficient drying in between each layer. 4. Slowly and carefully remove the tape to reveal the web. Add a cute little spider with chalk and you've got a spiderweb canvas. Finally, the 3D pumpkin canvas! You'll need the Coarse Glitter Paint, Chalkboard Paint, a craft pumpkin, and washi tape. 1. Take your cute little pumpkin (I got mine at the local dollar store) and cut it in half. 2. 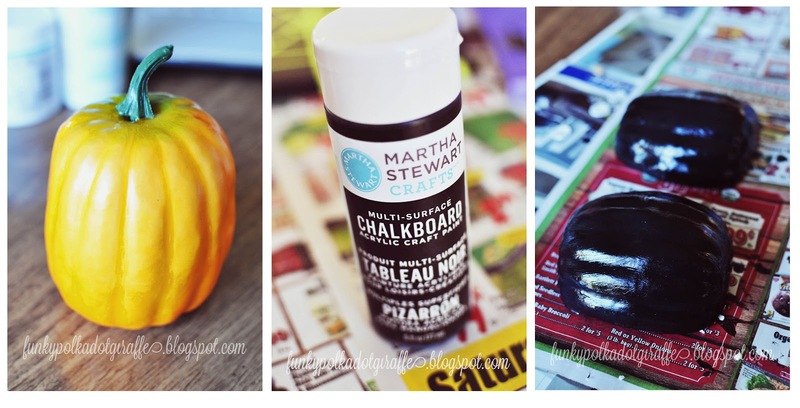 Paint up a storm with your chalkboard paint. 3. 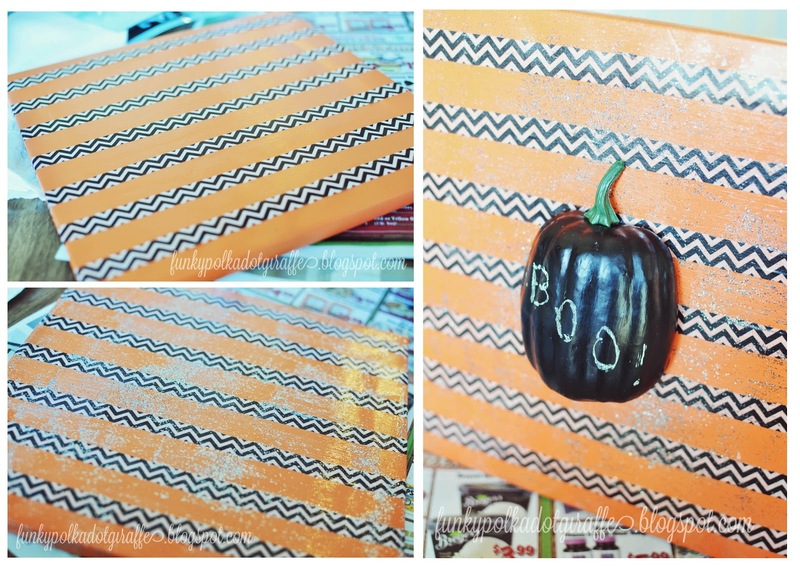 Apply your washi tape and then paint over the tape with the Coarse Glitter Paint. 4. Let the paint dry and glue the little pumpkin into the center. 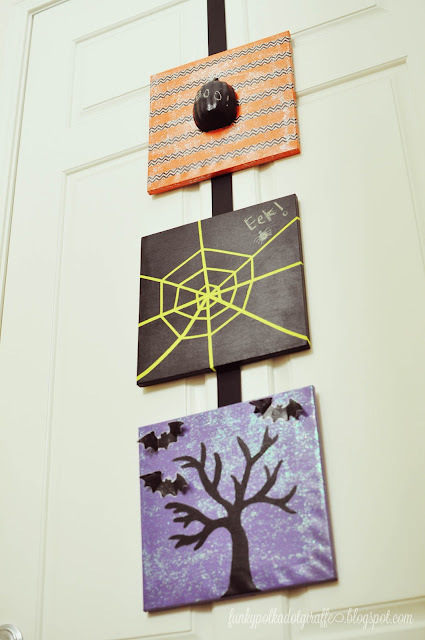 There you have it - three spooky Halloween canvases. wide piece of grosgrain ribbon and hung it from my front door. I love how it adds a bit of festiveness to the entry. then check out these fabulous sites! from Plaid by connecting with them on Pinterest, Facebook, and Twitter. Cute, cute, cute, perfect for Halloween! I love these! I keep seeing Martha's paints, but I wasn't sure to make with them. I'd love to try all three of them. Cute project! I agree that everything is better with glitter! How Wonderful! 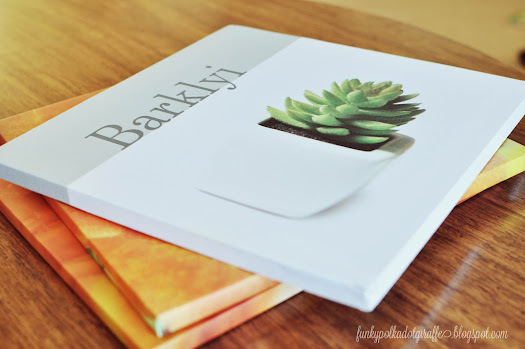 Perfect project for the weekend! 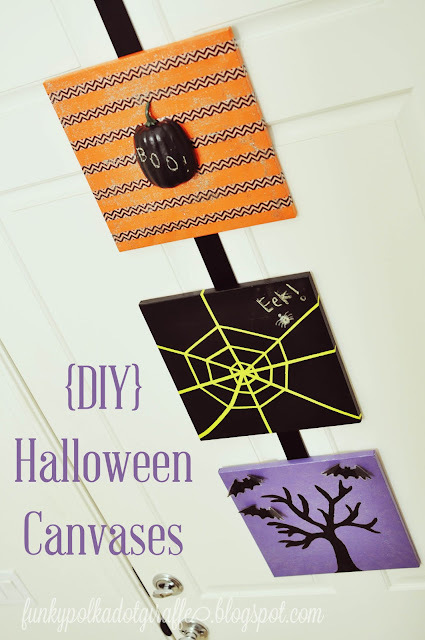 Your Halloween canvasses turned out super cute! You are so talented! 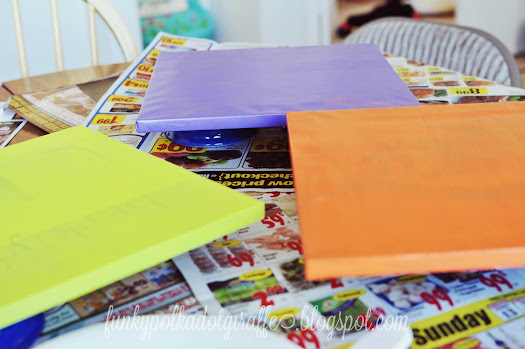 LOVE the canvases! Those 3D bats are such a cute touch!! I love how these turned out! I especially love the bats and tree. These turned out great! Love the colors and the patterns you choose to use! Spider is my fav :) Popping it up on my Facebook later today!